Decorative grasses, lavender, and Black-eyed Susans greet you. 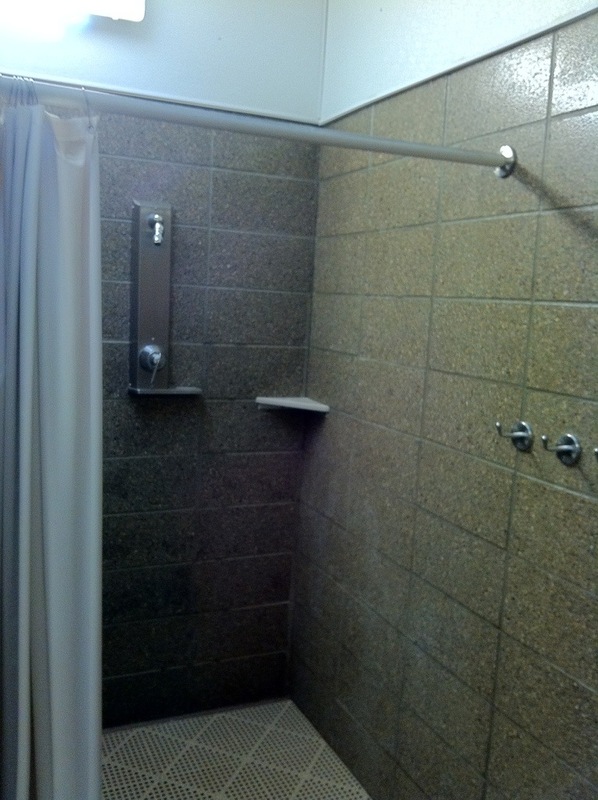 Each bathroom is a private “suite” with toilet, sink, chair, and giant walk-in stall shower. Cinder-block walls are coated in a glossy paint that repels water, and looks like faux granite. They’re clean, have soap, a fancy “xlerator” hand dryer. Walk-in shower has great pressure. 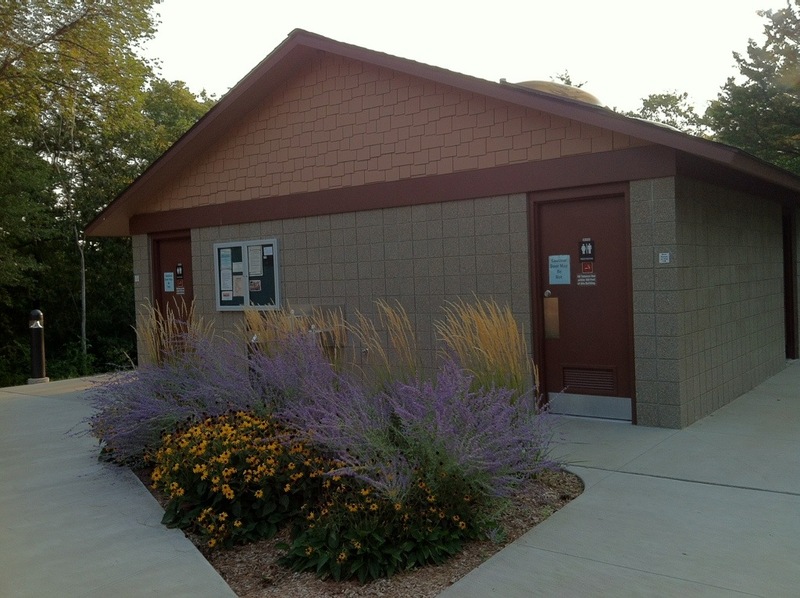 I have NEVER seen a state park with bathrooms this nice. 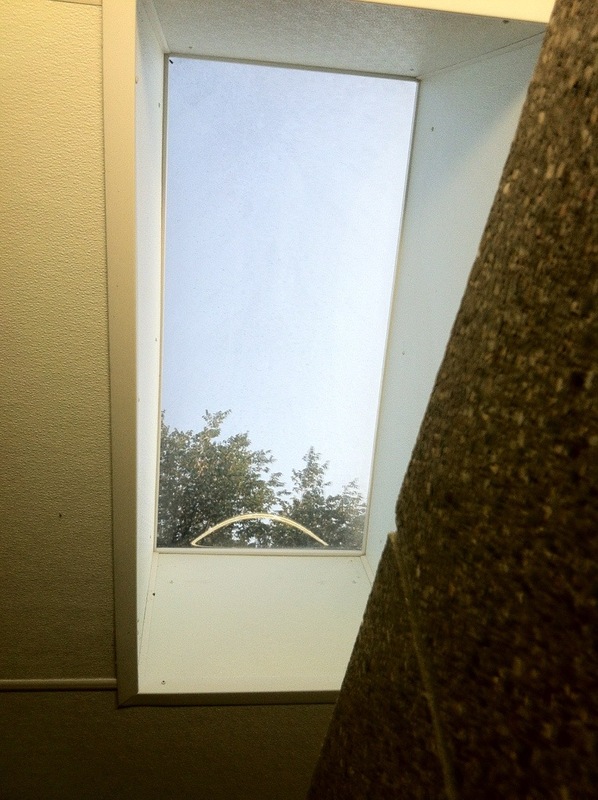 Oh, and a clear skylight. Laura Ingalls Wilder would be very proud. Plus wall hooks for your towel! Sweet! 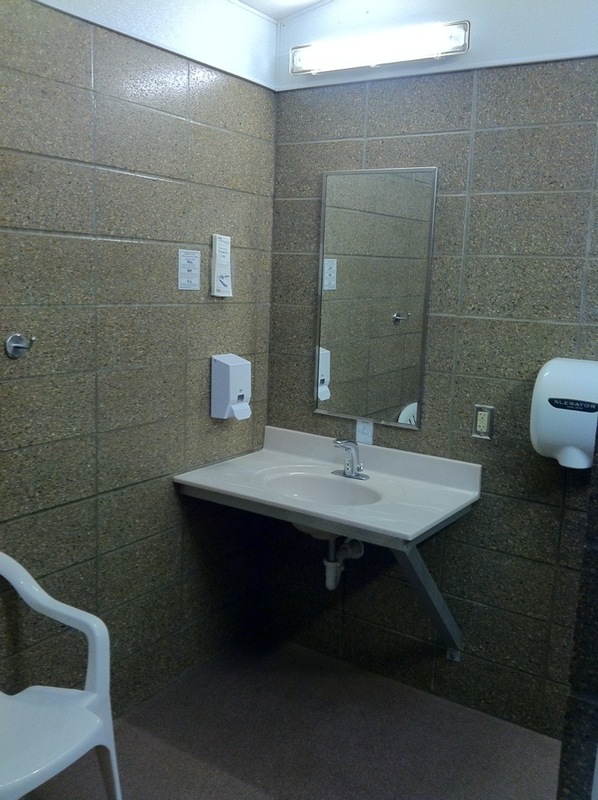 It’s sad- but true- how excited you can get over a simple bathroom after weeks on the road. Next time, let’s show them some of the “worst of”-s. Hall of Shame!